In line with GCU’s commitment to excellence in learning and teaching, GCU London’s Thomas Peschken (MBA and MSc Global Marketing Programme Leader) and GCU’s Dr. Helen Gallagher (Head of the Department of Psychology, Social Work and Allied Health Sciences) visited the University of Groningen, Netherlands in October to pilot Module B, which they developed in collaboration with colleagues from the University as part of EQUiiP (Educational Quality at Universities for inclusive international Programs). EQUiiP is a project aimed at training educational developers to support their teams to internationalise their courses. 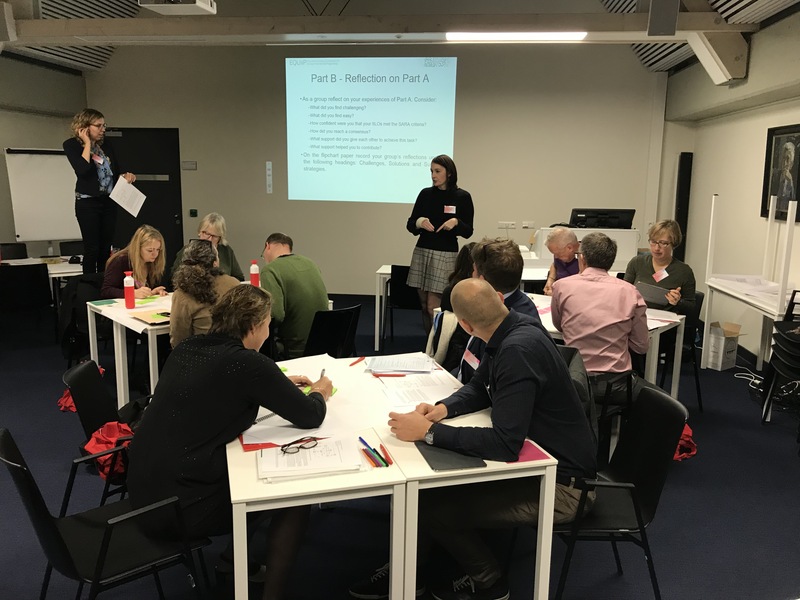 Module B is the second out of five modules and focuses on course design starting with formulating, mapping and embedding Intended International Learning Outcomes (IILOs­) and constructively aligning appropriate learning and assessment activities. 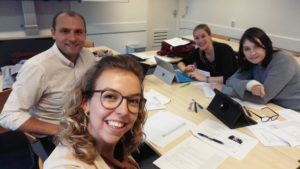 The collaboration between Ine Noben and Jellina Timmer (University of Groningen) and Thomas Peschken and Helen Gallagher led to a fun trial run of Module B. The collaborators brought a broad range of expertise to the team; from dedicated educational developers, to academic leads with educational development responsibilities. The team was truly international with four different nationalities based at campuses in Groningen, Glasgow and London. The active day involved completing a global warming activity, a role play, and a Threats, Opportunities, Weakness and Strengths (TOWS) reflection to think about how to support the development of IILOs on course and programme level. Participants went through the process of supporting each other as educational developers – identifying some challenges and support strategies for developing IILOs. A case video was developed by the help of Susanne Täuber (Associate Professor at the University of Groningen) to further enrich the context and experience of Module B. The day ended with highly engaged discussions on how individual institutions will need to focus on different development angles and how to take this forward.